Crazy polka dots, mismatched leggings, fanny packs: we’ve all heard the term. During the Middle Ages, feudalism reigned. A strict hierarchical social code classified lords, ladies, knights, vassals, and serfs. The medieval social code governed people’s behavior and manner of dress. Clothing functioned as a way to distinguish the classes. If someone dared to don the attire for the class above theirs, the authorities would throw them in jail for transgressing social norms. Hence, the term Fashion Police. 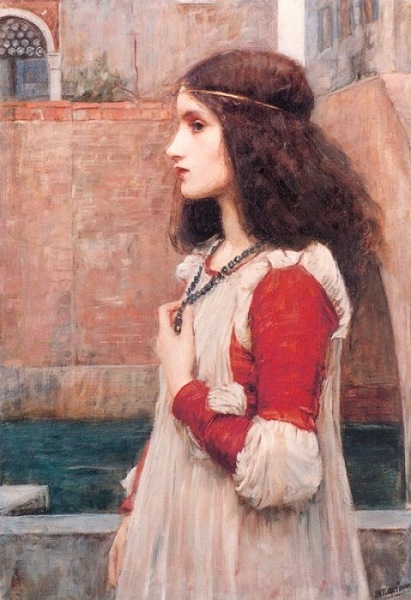 Pre-Raphaelite painter John William Waterhouse’s rendition of Lady Juliet Capulet. Only a woman of her station would be permitted to don this blue necklace. 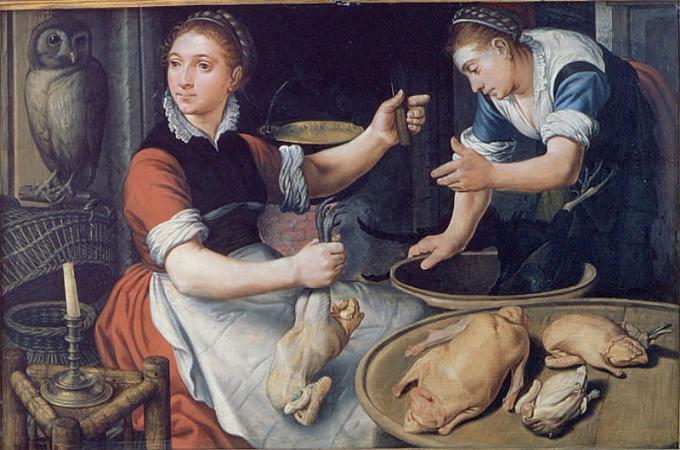 The sartorial choices of two medieval cooks. 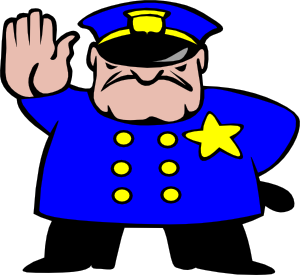 In medieval times, if a person wore the wrong fashion, ’twould be a crime.